Wow! This sounds lovely and so authentic. Great to think I have found a recipe for the next time we have friends round for dinner. I will be able to tell them my friend Sapna in India shared her recipe! 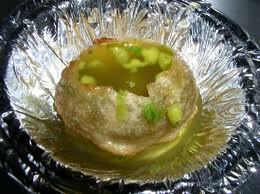 Yummy and delicious GolGappa’s which we call Pani Puri here!! Welcome to the ABC Fun, Sapna! Great choice for the G Day and it looks and sounds delicious! Thank you for sharing the recipe!! Look forward to reading more of your posts in the weeks to come!! Have a wonderful week! 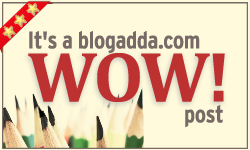 Sounds wonderful – quite glam and particuarly good! Yummy post. Don’t we all love our Gol-guppas! Looks Good! Great choice for this week’s G. GGs!! GGs and some more….delicious post sapna! Oh my That looks soooooo delicious! It looks delicious! Although, I don’t think I’ll attempt to make it. Perhaps some day I’ll run into a version like this one and give it a try! G for Golgappa, ah ha. I can’t have enough of it ever. Nice of you Sapna to write this. Good one for the G prompt. Keep writing. Pani Poori, one of my fav chaat. looks gud. haha thats quite funny! They are quite similar and very easy to get confused.